I admit, I'm addicted to following the NBA scores live. The problem I was having was either leaving my iPhone unlocked on the ESPN or NBA app and killing my battery or unlocking my phone (pin/fingerprint) every 5 seconds to see the scores! 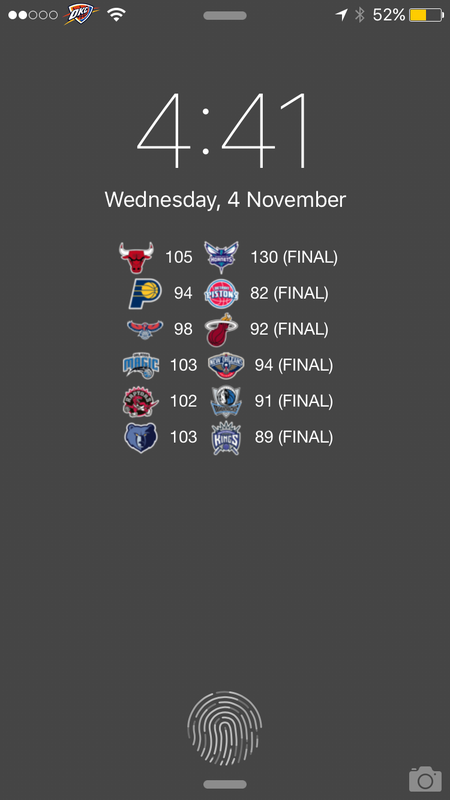 This is where the "NBA Lockscreen scores" package (Free on Modmyi repo) comes in. You can simply hit the home button to bring up your lockscreen and the updated scores and right there waiting.